I’m not that proud for noticing this: I’m not the lovely Lynne Truss and I fully accept that we all make typos. In general, I’m pretty forgiving. 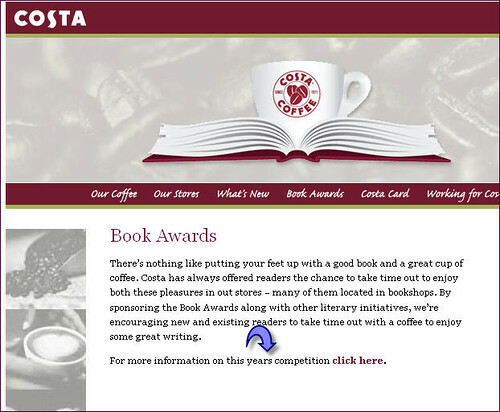 But I couldn’t resist pointing out this tiny mistake from the Costa Book Awards. They really ought to know better after all.